Happy Monday everyone! It's Emily here with a very "delightful" project to share with you today! 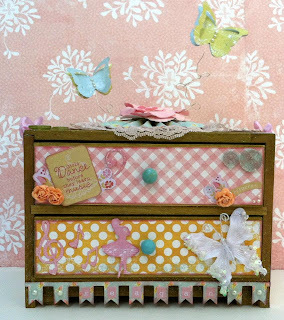 Some of you that were at CHA might have seen this project in the Authentique Booth, I made this set of altered wooden drawers for my daughter, Reagan, using the BEAUTIFUL *brand new* "Delightful" collection. I added a banner to the bottom and easily stuck Reagan's name on there with the matching "elements" stickers. I also used the "details" stickers for quotes ans shapes. I tried to make this as girly as possible, my daughter is a girly girl, so I added lace, flowers, sparkly buttons, and sweet little matching butterflies. 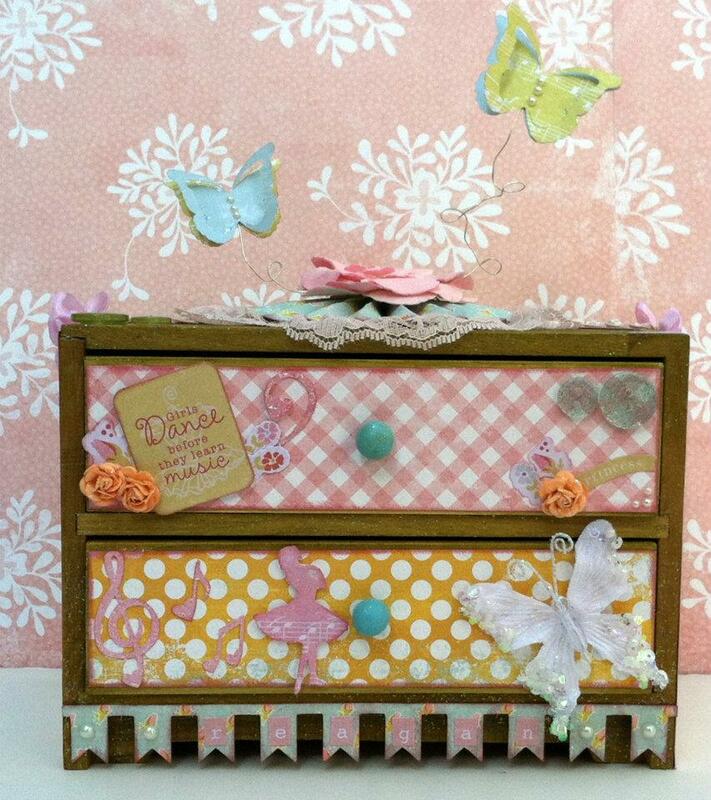 Now Reagan has a sweet little set of drawers that she can use to store her trinkets in. So sweet!! What girl wouldn't love this?!! So cute! 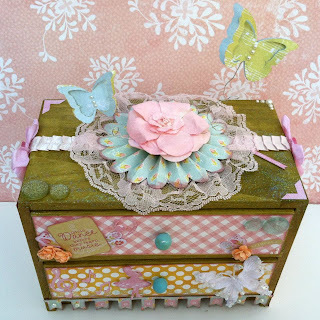 I love decorative storage boxes! 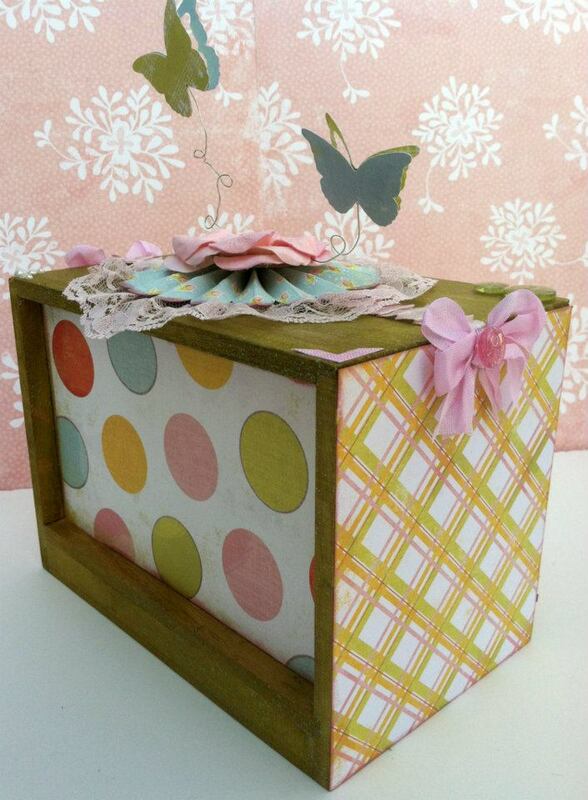 They are so fun to make and I love filling them up with my stash! Truly delightful! 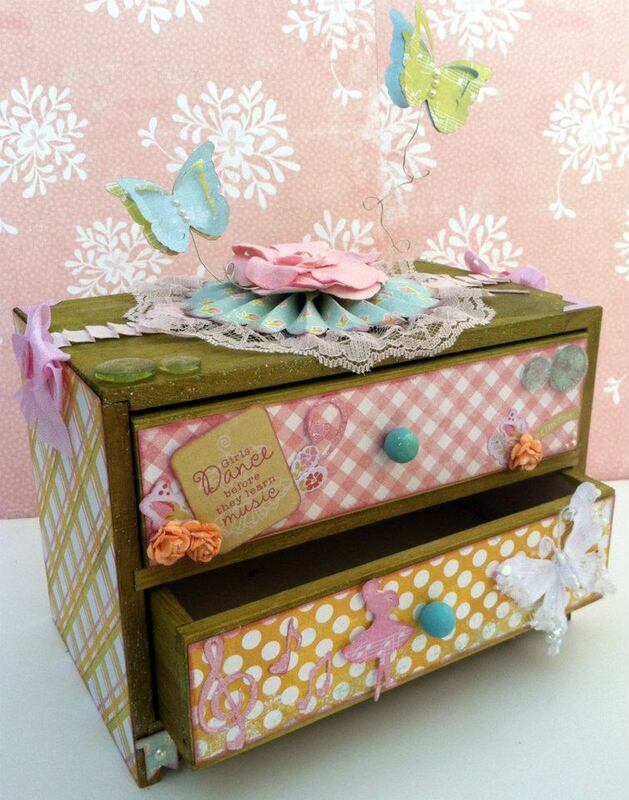 I love the pinks and greens of this collection! I hear my LSS is getting 5 lines in from CHA, WHOOPEE!!! Very nice. I love this collection.